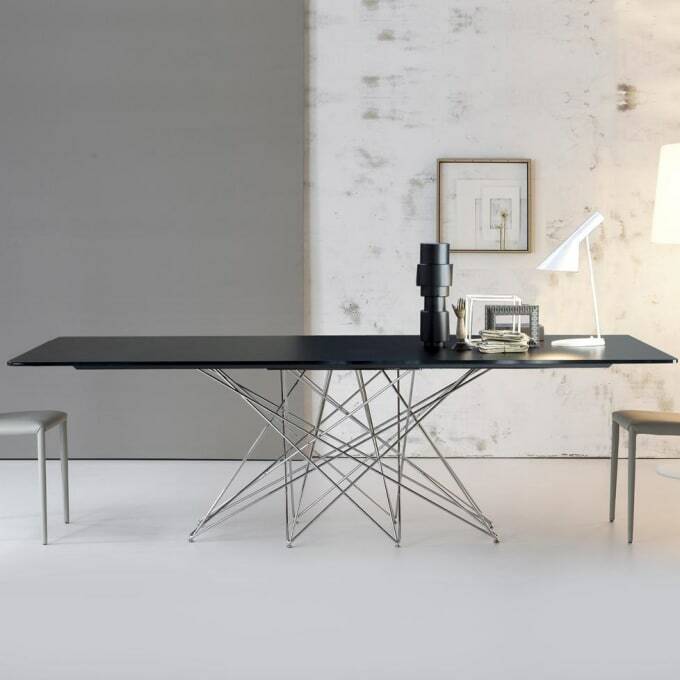 Elegant dining table Octa with filigree, bright chromed or black nickel metal base. Octa is an unusual table with filigree, eye-catching table base and tops in a variety of materials: glass, solid wood or ceramic - the elegant dining table Octa from Bonaldo has many faces. And that in two points of view, because even with the frame, you can choose from a variety of surface finishes. In addition to the bright chrome base variant offered here, the Bonaldo table Octa can be ordered with white or grey lacquered metal rods or as Octa table with black nickel-plated base. Do you have a question about "Octa chrome"? How can we contact you?